It’s called “Unbiased”. 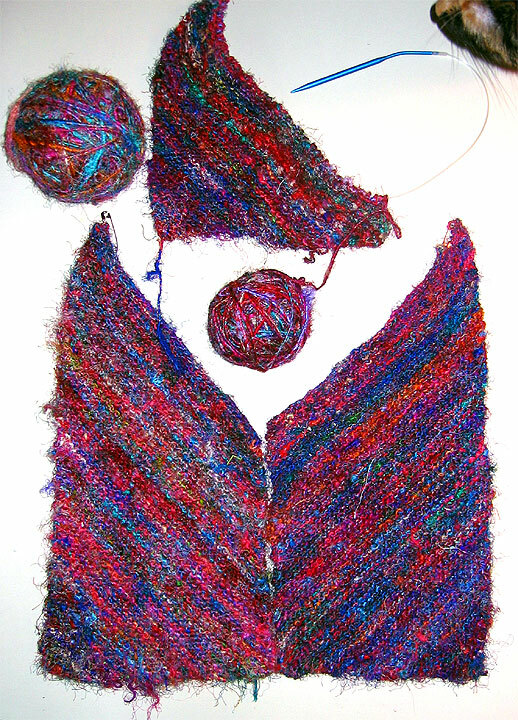 The woman who made the pattern owns The Wool Peddler, an online store where I bought the beautiful, recycled sari silk. AND one day, I shall finish this bag.